The Last Knight Deluxe figures feature articulation with movie-inspired details and accessories. This Premier Edition features iconic characters from Transformers: The Last Knight so fans can join in the movie action. In the explosive Transformers: The Last Knight movie, new heroes rise in an epic struggle to forge a future for all. 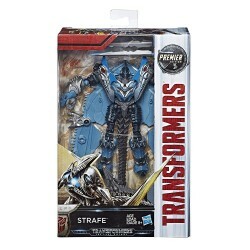 When battle erupts, the Dinobots count on Strafe for expert air support. Darting above at speeds that no ground warrior can match, the Pterosaur splits the air with his sharp beak. Masterfully, he descends from above to strike enemies down with his ancient and powerful claws. 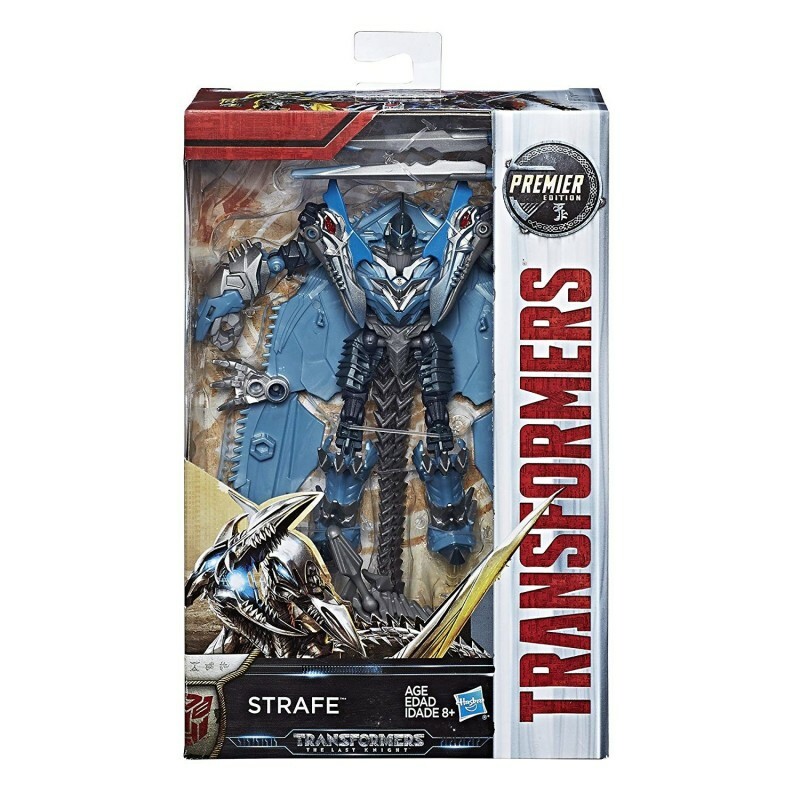 Includes Transformers: The Last Knight Premier Edition Deluxe Strafe figure, 2 accessories, and instructions.